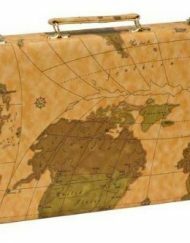 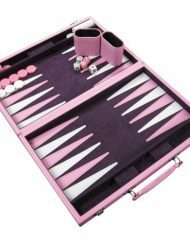 Category: Backgammon Boards & Tables. 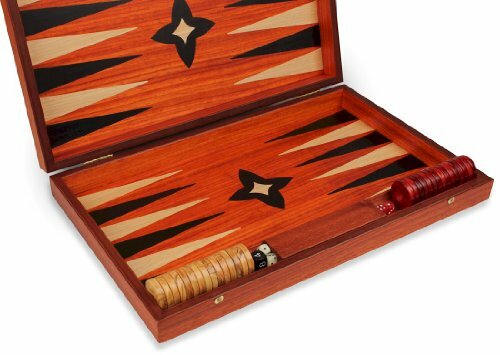 From the workshop of Manopoulos in Athens Greece comes a collection of beautiful, hand crafted backgammon sets in a variety of unique designs and wood combinations. 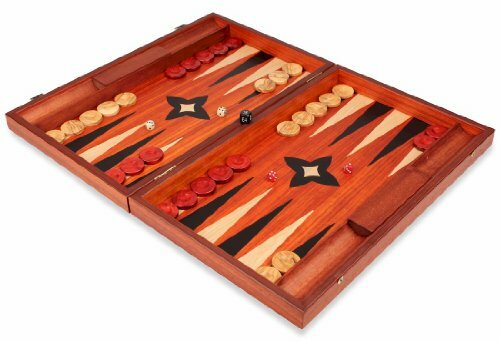 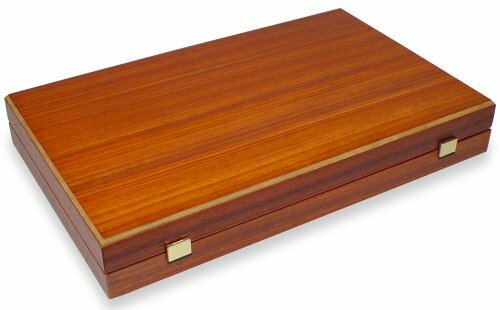 This backgammon set features a gorgeous padauk wood exterior that opens to a matching padauk playing surface with black and maple points. 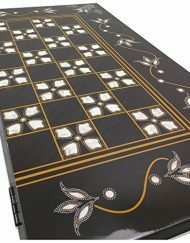 The black and maple points create a striking contrast against the solid black of the playing surface – the look is sharp and elegant! 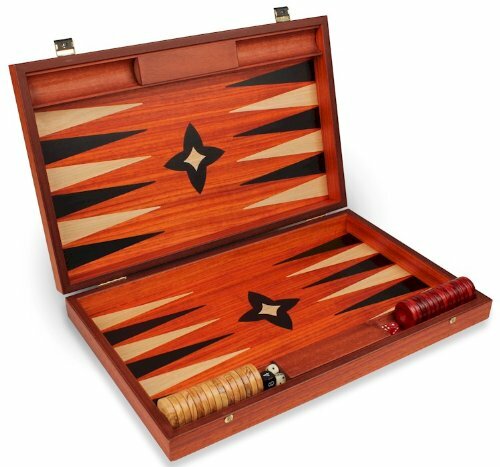 The padauk wood creates one of our most colorful and eye-catching backgammon sets in our store. 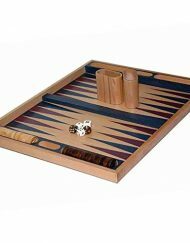 Chip racks on both sides of the board conveniently hold chips that are not in play. 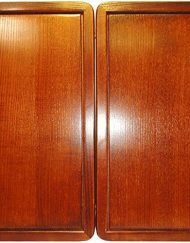 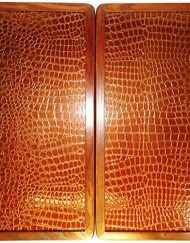 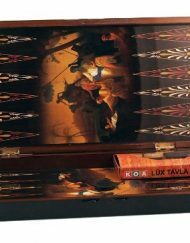 The chips are made from Greek olive wood with one side stained to match the color of the Padauk Wood. 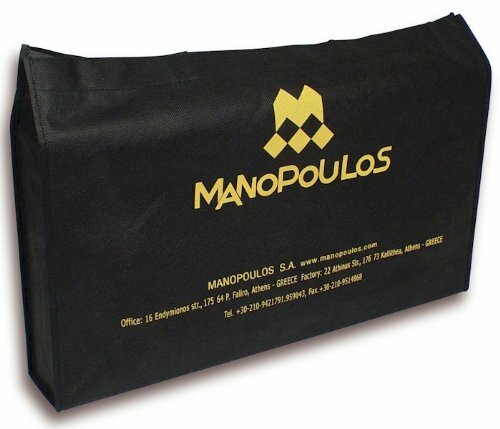 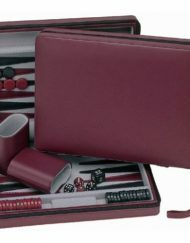 Included with this backgammon set are two sets of dice, a doubling cube, instructions on how to play backgammon, and an attractive black carrying bag with the Manopoulos logo. 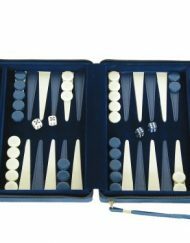 Whether for yourself or a gift, this backgammon set is bound to please with its old world quality and craftsmanship. 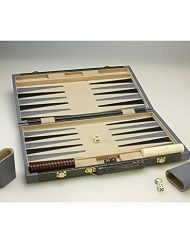 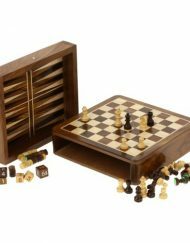 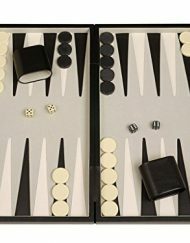 Note from The Backgammon Store: This backgammon set is handmade by highly skilled craftsmen and as such, has inherent characteristics, both the wood and craftsmanship, that makes each backgammon set different and unique. 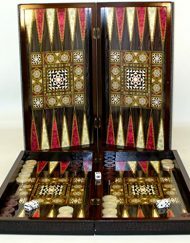 Do not expect “perfection” as if this backgammon set was mass produced from a machine like many are, but rather, a unique piece of art.